I found "insta rep" strategy for Umbra infector. don't put "field generator" on your carrier. *Recommend practice against low lvl NPC fleet for "formation change" before do this strategy. they might be do "secret buff" next time. 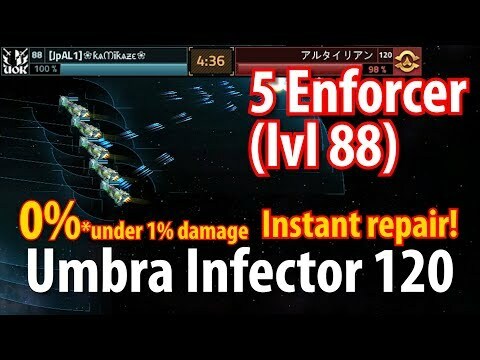 if you going to try this strategy, instant rep fleet attack before use main. 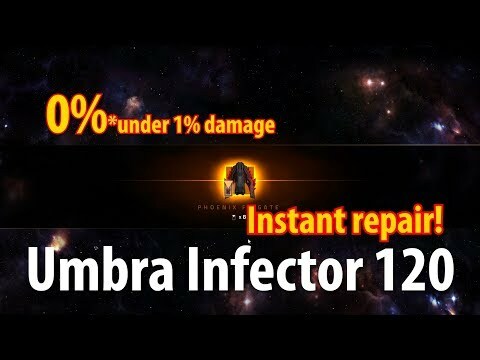 Update new umbra infector strategy. full enforcer with xeno eclipse ( 3000 dps ) can't kill them fast enough due to alien resist . I thought they have not "alien resist".